Drop everything! 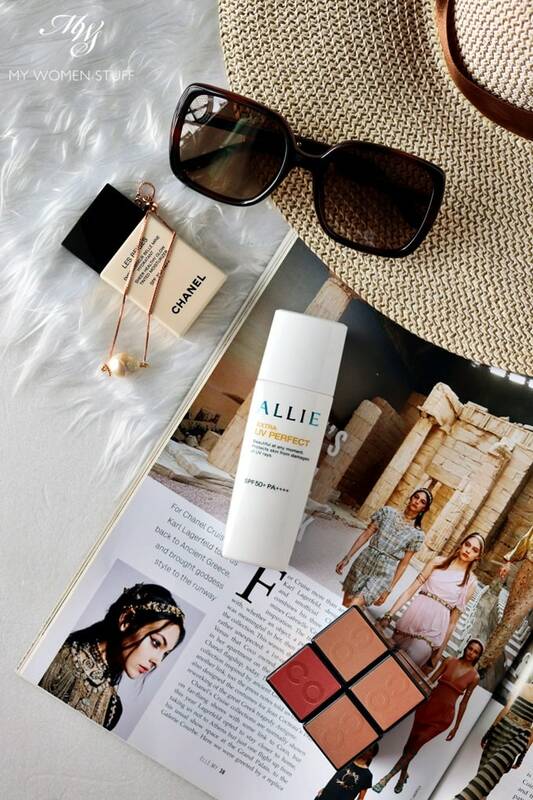 I’ve just found my current favourite affordable sunscreen in the Kanebo Allie Extra UV Perfect SPF50+ PA++++ sunscreen! It was hard not to go crazy buying up all the skincare in sight while I was in Japan earlier this year. Very hard. It helped that there was a language barrier – it prevented me from quite literally falling for every product out there! Yet, I managed to hoard a number of items, predominantly sunscreen, and one that caught your eye was the Kanebo Allie Extra Perfect UV Sunscreen SPF50+ PA++++ I showed in some of my pictures back then. Quite a few of you asked me about it, but I wasn’t comfortable sharing, as I’d quite literally opened it up to use while in Japan, and it was too new to actually form an opinion on. I wanted to come home where the heat and humidity is high, to see how I’d like it. Then, I wanted to really put it through its paces, so I took it to the beach, where I spent an ungodly amount of time in the sun and by the pool. I wanted to be very sure about how I felt about this one. This was because I’d already fallen in love with it while in Japan, and I really really wanted to know if it was as good for me as its first impression was. Happily, or unhappily, I think this is the perfect successor for me, to my long-time favourite, the Shiseido Perfect UV sunscreen. The latter has been reformulated this year where the name now states “Multi-Defense” and before you ask, no I have not yet tried it. I know I should, but I am working through other sunscreens I own (I need to before they go off – 2 years shelf life for best efficacy!) and to be honest, I’ve read too many unhappy comments about this new formula – enough to put me off trying. Well, let’s just say that I’m not actively looking to try the Shiseido one either, because this Kanebo Allie Extra UV Perfect sunscreen has me very happy with it. And yet sad. It was quite amusing to me when the Mamonde Creamy Tint Squeeze Lip was sent out. I came across so many people squealing and going “Ooh! First time ever a squeeze lipstick!” Well, WRONG! 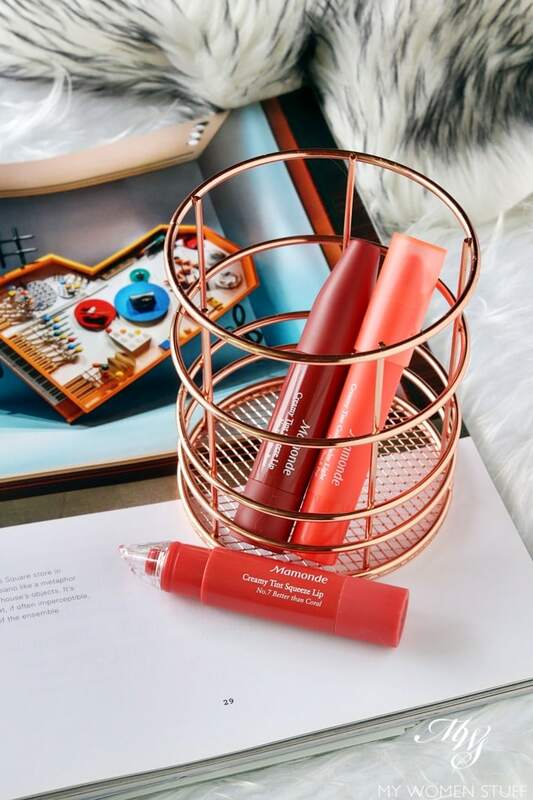 Other brands have done it too in the same or slightly different forms, most recently, the Bobbi Brown Art Stick Liquid Lip that looks exactly the same. I own one of them. Just never got round to talking about it. Pay a little more attention to what’s going on around you, and you’ll realise that makeup trends are cyclical and what goes around comes around! Sometimes, a product from a well-known brand surprises you with its efficacy. And it’s times like that that you find a little vindication in not always going for everything niche and expensive. A product I’d been meaning to share is The Body Shop Ethiopian Honey Deep Nourishing Mask. 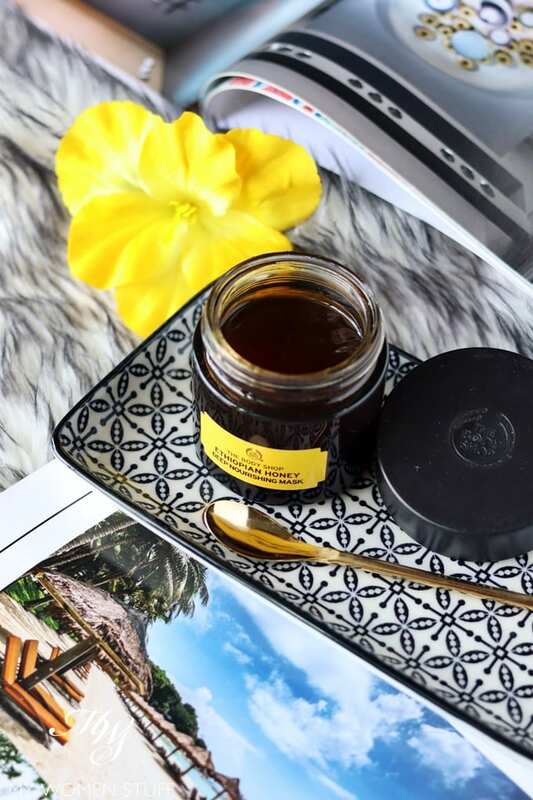 The Body Shop Ethiopian Honey Deep Nourishing Mask is one of the masks available in their mask wardrobe. I’d been quite fascinated by them for a while, and I’ve been told that the clay masks are quite good. They are quite affordable too, which is useful when you have to slather on a product generously. 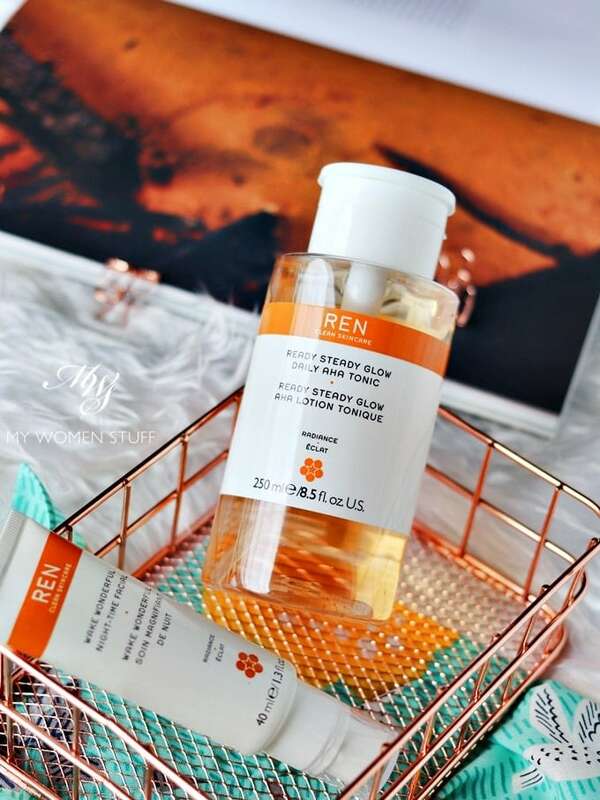 REN Skincare is one of my favourite skincare brands, and many of you know I’m into using acid toners. So, when REN released the REN Ready Steady Glow Daily AHA Tonic earlier this year, I was off like a shot to grab hold of it! My face needs me some acids! I’ll tell you about acids another day, but you’d know by now that I am a big fan of the Biologique Recherche Lotion P50 and the Pixi Glow Tonic. These are 2 exfoliating lotions or also known as “acid toners” that I unhesitatingly recommend to most people who want to try it. They also happen to fall, quite serendipitiously, on both ends of the price scale. The REN Ready Steady Glow Daily AHA Tonic comes somewhere in between the two.